Exquisite! Great composition, awesome light, fantastic detail. Also, what a great image. How is it that something called a “bird dung mimicking jumping spider” somehow looks better in this photo than I ever have in any photo ever? Haha. Great shot. 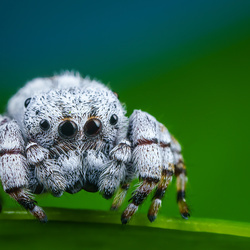 As an arachnophobe I always find it funny that these guys look so adorable. Well done. Thanks a lot! Yes I used to be one, but these jumpers totally turned me around. Yes he is. I love spiders. Great shot all the way around, its perfect. 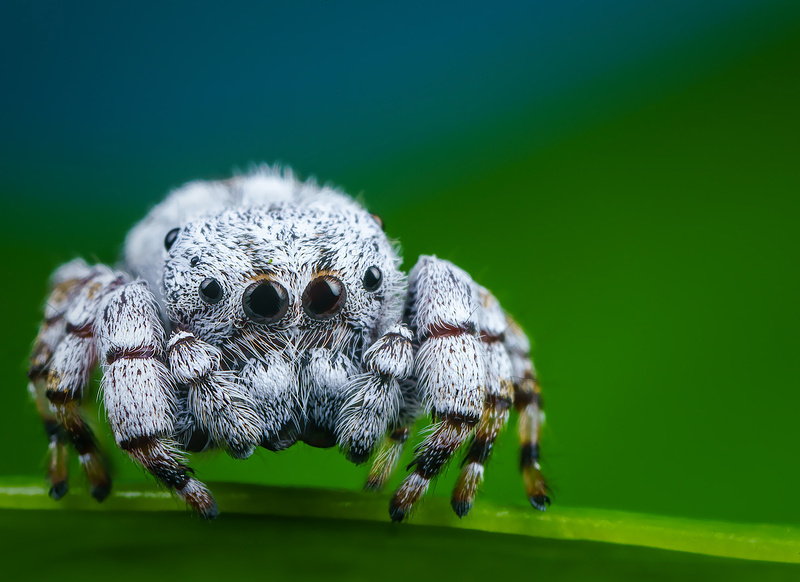 Alien of the Macro World!